Bring this coupon to a participating Aveda Salon/store to receive your free sample pack of Aveda Damage Therapy. 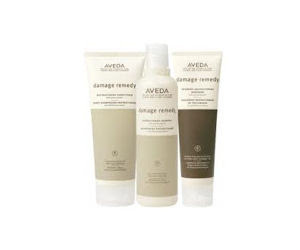 Includes: Aveda Damage Therapy Restructuring Shampoo, Restructuring Conditioner and Aveda Daily Hair Repair. As an added bonus, get a free Botanical Therapy Hair Treatment at your next salon visit.